Precision T3610 WS/ Xeon E5-1620 8GB 500GB No graphic W7Pro64 685W(CA010PT36108MUWS)/.. Precision T5610 WS|/ Xeon E5-2620 /8GB /500GB /K4000 / W7Pro64 / /825W(CA002PT56108MUWS)/.. Precision T1700 MT / Core i7-4790 (3,6GHz)/ 8GB (2x4GB)/ 1TB (7200 rpm)/ Nvidia Quadro K620 (2GB)/ W7 Pro 64 (Win8.1 Pro dwngrd)/.. Precision T1700 MT / Core i5-4590 (3,3GHz)/ 8GB (2x4GB)/ 1TB (7200 rpm)/ Nvidia Quadro K420 (1GB)/ W7 Pro 64 (Win8.1 Pro dwngrd)/.. Precision T1700 MT / Core i5-4590 (3,3GHz)/ 8GB (2x4GB)/ 1TB (7200 rpm)/ Nvidia Quadro K620 (2GB)/ W7 Pro 64 (Win8.1 Pro dwngrd)/.. Precision T1700 MT / Xeon E3-1226 v3 (3.3 GHz)/ 8GB (2x4GB)/ 1TB (7200 rpm)/ Intel HD P4600 W7 Pro 64 (Win8.1 Pro dwngrd)/.. Precision T1700 MT / Xeon E3-1220 v3 (3.1 GHz)/ 8GB (2x4GB)/ 1TB (7200 rpm)/ Nvidia Quadro K620 (2GB)/ W7 Pro 64 (Win8.1 Pro dwngrd)/.. Precision T1700 MT / Xeon E3-1241 v3 (3.5 GHz)/ 16GB (4x4GB)/ 256GB SSD /Nvidia Quadro K2200 (4GB DDR5)/ W7 Pro 64 (Win8.1 Pro dwngrd)/.. Precision T1700 SFF/ Core i5-4590 (3,3GHz)/ 8GB (2x4GB)/ 1TB (7200 rpm)/ Intel HD P4600 W7 Pro 64 (Win8.1 Pro dwngrd)/.. 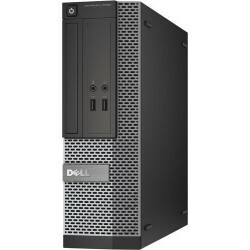 Precision T1700 SFF / Xeon E3-1220 v3 (3.1 GHz)/ 8GB (2x4GB)/ 1TB (7200 rpm)/ Nvidia Quadro K420 (1GB)/ DOS.. Precision T1700 SFF / Xeon E3-1220 v3 (3.1 GHz)/ 8GB (2x4GB)/ 1TB (7200 rpm)/ Nvidia Quadro K420 (1GB)/ W7 Pro 64 (Win8.1 Pro dwngrd)/.. Precision T5810 / Xeon E5-1620 v3 (4 Cores 3,5 GHz)/ 16GB (4x4GB)/ DDR4 500GB (7200 rpm)/ No graphics/W7 Pro 64 (Win8.1 Pro dwngrd)/ 3 years.. Precision T5810 / Xeon E5-1620 v3 (4 Cores 3,5 GHz)/ 16GB (4x4GB)/ DDR4 1TB (7200 rpm)/ NVIDIA Quadro K2200 (4GB DDR5)/W7 Pro 64 (Win8.1 Pro dwngrd)/ 3 years.. Precision T5810 / Xeon E5-1620 v3 (4 Cores 3,5 GHz)/ 16GB (4x4GB)/ DDR4 1TB (7200 rpm)/ NVIDIA Quadro K4200 (4GB DDR5)/W7 Pro 64 (Win8.1 Pro dwngrd)/ 3 years.. Precision T5810 / Xeon E5-1650 v3 (6 Cores 3,5 GHz)/ 16GB (4x4GB) DDR4 / 1TB (7200rpm) + 1TB (7200 rpm)/ NVIDIA Quadro K2200 (4GB DDR5)/W7 Pro 64 (Win8.1 Pro dwngrd)/ 3 years..